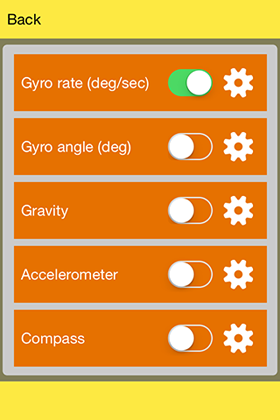 You can use the EV3nts app with the official LEGO Mindstorms EV3 Software (Home or Education) or with any other programming languages such as LeJOS, RobotC, BricXX, etc… If you will be using it with the LEGO Mindstorms EV3 Software you have to download and import our custom blocks created specially for EV3nts. You can find them in the download section here. 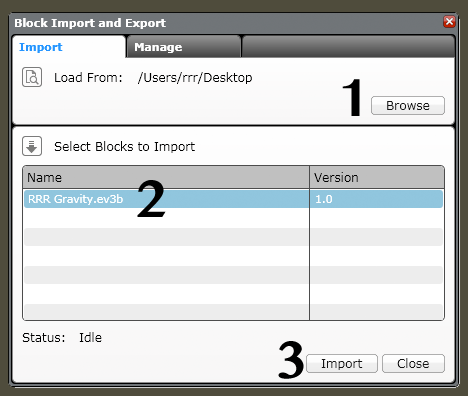 First download the block from one of the links above to a location on your computer and remember that location. Click “Browse”, go to the location where you downloaded the file and select it. 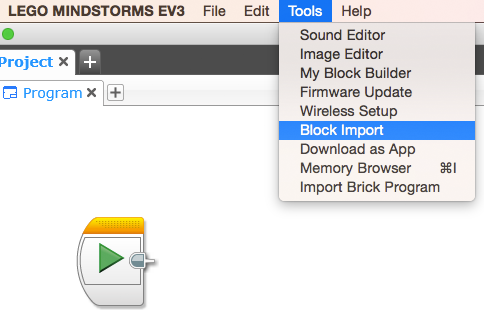 Click “OK” in the popup window that appears and then restart the EV3 software. 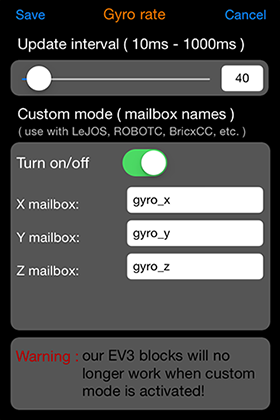 Setup and read the data from the brick’s mailboxes using your preferred language ( read the coresponding documentation on how to do that ). the transmission of data is done through WiFi so even if we allowed you to change to transmission speed to as low as 10ms we found that 40ms and upper is better: going below might cause the messeges to be put in a queue and cause delay.